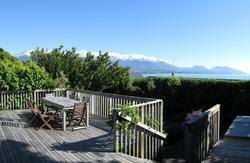 Dolphin Lodge offers travellers a homely place to stay in the heart of Kaikoura. Enjoy relaxing in the private garden with decking, barbeque and free hot spa. 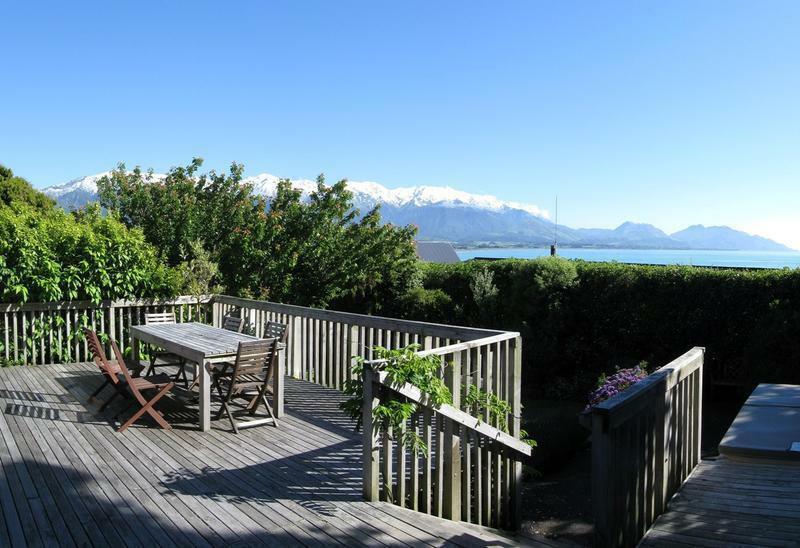 All of this comes with great views across Kaikoura's coastline and mountains. All rooms are heated and we have a log fire to keep you cosy and warm in the winter months. The lodge has a fully equipped kitchen including free herbs and spices, a separate TV lounge with a selection of movies, off-street parking, budget bike rental for you to explore Kaikoura, laundry facilities, 24 hour internet access and wi-fi available (additional charges apply) and friendly staff to make you welcome. We have a wealth of knowledge of the local area and we can give you lots of great tips on things to do in and around Kaikoura. We can even book your tours for you. 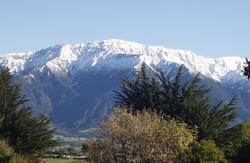 By Bus: There are regular buses into Kaikoura from Chirstchurch, Blenheim, Nelson and Picton. From the bus stop in town we are a few minutes walk away, located at the top of the walkway across the road from the I-Site. The walkway will lead you to Deal Street and you will see us on the left hand side. By Car: From the South we are just off SH1, when you enter Kaikoura take the next road, Deal Street, on the right after the turn off sign posted for Town Centre. From the North go past the turning for Town Centre, go under the bridge and take the left hand turn onto Deal Street. On Deal Street we are at the end of the road on the right hand side. Look out for the Dolphin sign! By Train: The Transcenic Coastal Train will bring you into Kaikoura. The train station is just 10mins walk from the lodge. Head into town, go down the West End towards the I-Site. Opposite the I-Site there is a walking track up to Deal Street, you will find us on the left hand side. If you have any problems at all locating us, then please call us. We are more than happy to help you.